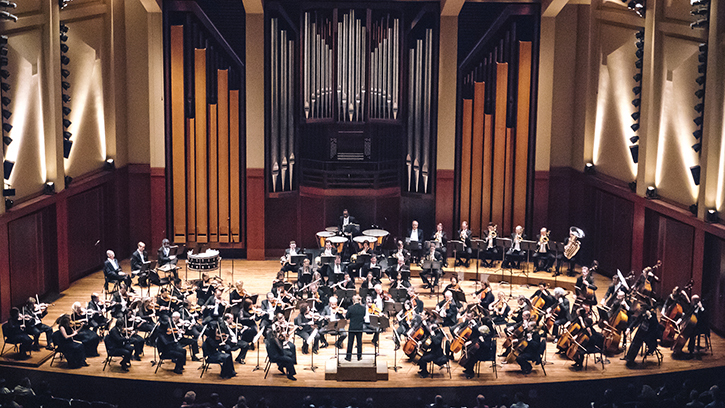 The Seattle Symphony’s Grammy-winning label, Seattle Symphony Media, released two sensational new albums featuring music by Debussy, Mahler and Stravinsky on June 10. Featuring live performances and meticulously mastered studio recordings, the two latest albums from Seattle Symphony Media, the Seattle Symphony’s in-house record label, capture a fascinating moment in music history shortly after the turn of the century. Mahler’s Symphony No. 10 and Stravinsky’s Petrushka were both written in 1910 and were followed a few years later by Debussy’s La boîte à joujoux in 1913. Music Director Ludovic Morlot brings to life two pieces that celebrate children’s play — a scintillating live recording of Stravinsky’s much-loved virtuoso classic of the orchestral repertoire, Petrushka, and a studio recording of Debussy’s rarely recorded La boîte à joujoux (“The Toy Box”). The Stravinsky recording is part of the Symphony’s ongoing live performance recording series of orchestral works by the composer, following The Rite of Spring release in 2014 and an upcoming release of the The Firebird scheduled for later this year. A powerful and moving document of unforgettable live performances of Mahler’s Symphony No. 10 (Deryck Cooke final version) during the 2015–2016 Delta Air Lines Masterworks Season, with the symphony performing under Principal Guest Conductor Thomas Dausgaard. CDs may be purchased at Symphonica, The Symphony Store, at Benaroya Hall. Digital downloads and CDs are available through iTunes and Amazon. Recordings can also be streamed through Apple Music, Spotify, Tidal, Google Play, Rhapsody and Microsoft Groove. Listen now to Stravinsky’s Petrushka with Music Director Ludovic Morlot and to Mahler’s Symphony No. 10 with Principal Guest Conductor Thomas Dausgaard.